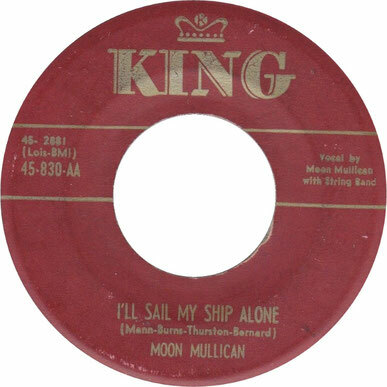 "I'll Sail My Ship Alone" is a 1950 song written by Moon Mullican (sometimes credited as "Morry Burns"), Henry Bernard (sometimes credited as "Henry Glover"), Lois Mann (sometimes credited as "Sydney Nathan") and Henry Thurston, and popularized by Moon Mullican. The song was Mullican's most successful release, reaching number one on the Country & Western chart for a single week, and spending a total of nine months on the chart. "I'll Sail My Ship Alone" crossed over to the pop chart, reaching number seventeen. Patsy Cline also recorded this song on her last recording session, before she died in a plane crash. 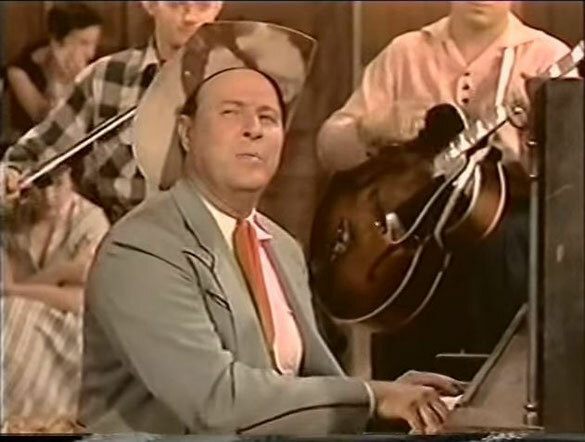 It was recorded by Jerry Lee Lewis in 1958 and by many others since such as Hank Williams, Skeets McDonald, Patsy Cline, Tiny Hill, Ferlin Husky, George Jones, Slim Whitman, Patrick Wall, Mickey Gilley and Leon Russell (as "Hank Wilson"). We've been sweethearts for so long but now you say, "We're through!"